Laminate - F&F Floor Covering, Inc. When it comes to laminate, F&F has you covered. From installation, sales, etc. you name it, we can do it! Laminate flooring can be made to look like virtually any other type of flooring material. It can in fact feature almost any pattern the manufacturer thinks will sell. This type of flooring is becoming increasingly popular. If appearance were the only thing worth considering, it would likely be even more popular. a wear layer, another fairly thin layer usually comprised of a melanin resin, that protects the pattern and the plank itself. These layers are subjected to a high-temperature, high-pressure process that forms a laminate sheet, that is then cured, and later milled or cut into strong, stable, and attractive planks. If any one of the four layers are substandard, the flooring will be as well, so you cannot rely entirely on the appearance of the top two layers. Even cheaply made laminate flooring can look expensive, which is why it pays to read the reviews, purchase top brands only, or purchase your flooring from a retailer you know you can trust. Laminate flooring comes in two flavors, direct pressure laminate and high pressure laminate. The latter is most often purchased for commercial use, because it is stronger and much more durable. It is more expensive, but some homeowners prefer high pressure laminate, knowing their flooring will be exceptionally wear resistant. Clearance and discount outlets will often offer great deals on laminate flooring. While you may be happy to have purchased your flooring at a price that is “good for today only”, you will probably get what you pay for, and it definitely won’t be high pressure laminate. While more expensive than thinner laminate, thicker choices are still less expensive than hardwood flooring. Thicker planks absorb sound better and feel more solid to walk on. Laminate is durable. Stick to a top brand and you can expect many years of solid service. 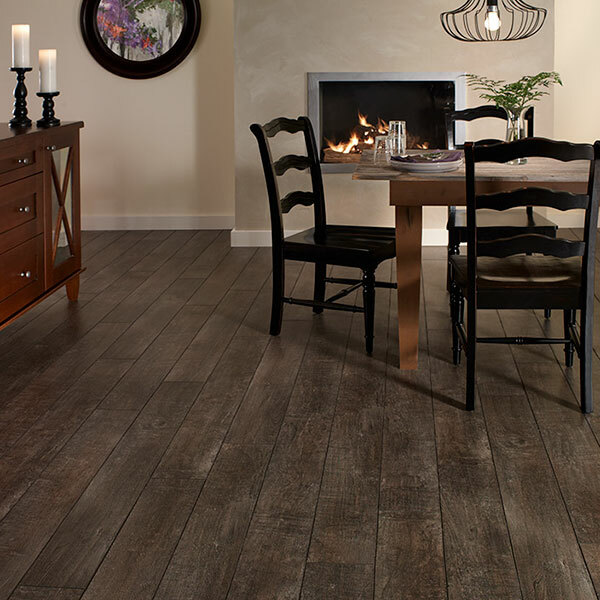 You have a huge selection to choose from, and laminate flooring is easy to install. You can do so yourself, and installation does not require the use of glues or adhesives. Should You Purchase Laminate Flooring? In most cases, the answer is a resounding yes! If you stick to high quality laminate, wear and tear should not be a concern, and laminate is less expensive and easy to install. There are two caveats however: If you have an upscale home in an upscale neighborhood, stick to hardwood to preserve the sales value of your home; and if you really want to save a lot of money by purchasing the cheapest laminate you can find, you will probably be sorry you did.